Every year I try to cover the Cubs’ system as best I can. Now with over 300 prospects, it can seem a bit daunting at times to know everything about everyone. It’s pretty much impossible. There are stories that everyone tells and there are other stories that slip through the cracks. Here are a few things I noticed this year but did not devote a full length article to covering. Duncan Robinson – The 2016 draft pick just flew through the system in two years. Robinson made it all the way to AAA Iowa in part to his excellent command and plus curve. Add in the fact that he’s injury free and a work horse, and there might be something there. I’m excited to see him in spring training as I’m sure he’s going to get a start with the big league club in Mesa. I know I talked about Michael Rucker this year. They were times where he was utterly brilliant, and then there were times where he was not. Still, he’s very close to making it to Chicago. I called him a guy who could be a guy at one point. He could break in pitching out of the bullpen and then, when given an opportunity, he might be able to start. His stuff plays up pretty good out of the pen. He can throw 96/97 and keep it in the zone which is what Theo likes. 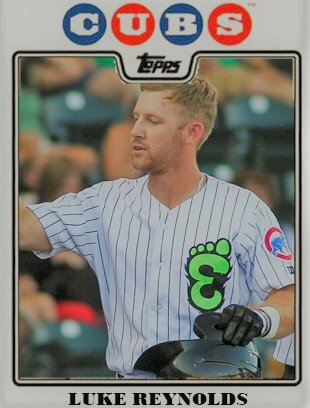 Hitting Collapse – It was pretty clear-cut that from Iowa all the way down to Eugene, Cub prospects did not hit well this year across the board. There might be two or three guys per affiliate each month who could hit between .280 and .300. And some affiliates might have one guy go over .300 in a month. In two straight drafts, the Cubs took 75% pitchers to 25% position players. They are paying the price for that now. The 2016 and 2017 International Free Agent Classes – The Cubs may have struck it rich in the 2015 international free agent class, but there are some guys that they signed in bulk in 2016 and 2017 who are a little bit surprising. Some of them made it all the way up to South Bend this year like Maikel Aguiar. Most of them are in Mesa and the Dominican where the Cubs had two pretty good teams in DSL 1 and Cubs 1. The Implosion of Tennessee’s Bullpen – When the Tennessee Smokies lost their three best relievers in the span of about two weeks, it looked like Jake Stinnett was reborn as a closer at the beginning of July. By the middle of the month, things fell apart in the thick of a pennant race. Jordan Minch somewhat recovered in August. He did not allow run the entire month. For the most part, the pen was not good across the board. Last in Hitting – While Eugene had some individual highlights, as a hitting unit, they were last in the Northwest League. Those first four weeks of 18 to 19-year-old kids in the lineup every day was no match for players with college and junior college experience. It wasn’t until the college draft picks arrived that the Emeralds finally began to get some things going offensively. Trent Giambrone – I talked about him from time to time, but I don’t really know if I gave him his just due as he is really putting things together at AA. I’m excited to see how he will do next year in AAA with his mixture of power and his newfound walk ability. Ian Rice – His power and run driven in totals were not impressive this year. However, his ability to hit, take a walk, and catch most every night for the Smokies was quite evident. If the Cubs do not protect him in the Rule 5 draft, you can consider him gone. Someone is going to snap that bat up. There’s always going to be a player I could’ve written more about or a trend in the system I could’ve identified. Still, I’m excited to see what happens this off-season with the Arizona Fall League, some prospect lists, the rule five draft, and things I can learn at the convention. I am excited to see what stories get the attention. Next ›MiLB Playoff Action – Eugene Gets Going with a Huge Upset Win!